Dramatic character is among the most long-standing and familiar of artistic phenomena. From the theatre of Dionysus in ancient Greece to the modern stage, William Storm's book delivers a wide-ranging view of how characters have been conceived at pivotal moments in history. Storm reaffirms dramatic character as not only ancestrally prominent but as a continuing focus of interest. He looks closely at how stage figures compare to fictional characters in books, dramatic media, and other visual arts. Emphasis is sustained throughout on fundamental questions of how theatrical characterization relates to dramatic structure, style, and genre. Extensive attention is given to how characters think and to aspects of agency, selfhood, and consciousness. 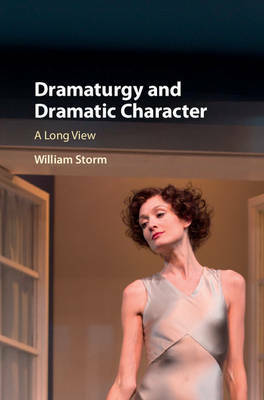 As the only book to offer a long view of theatrical characterization across this historical span, Storm's dramaturgical and theoretical investigation examines topics that remain vital and pertinent for practitioners, scholars, students of theatre and literature, and general audiences.